Theano Lianidou was born in Thessaloniki, Greece, and graduated from Deree in 1988. She earned an MBA from Boston University (1991) and an MPA from Columbia University (2015). 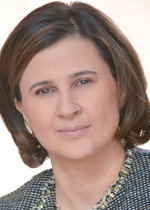 Theano started her career in marketing with Procter & Gamble and, following a number of marketing roles in Greece, the Netherlands, and Poland, she assumed general management positions starting as Managing Director of Mars Inc. in Greece, and then in Italy. She currently resides in New York, where she serves as Senior Advisor to Concordia, and is co-chair of the 2020 Women on Boards NYC Committee. Theano is married to Glafkos Persianis and has two children, Panagiotis (14) and Ilias (10). Excellent professors, a great campus, and connections with the corporate world. A marketing project with my friend Elena. We didn’t get a top grade, but we had fun in the process! The lawn on a sunny day. I took a number of courses with Professor Theocharakis. His classes provided a good mix of theory and practical experience, and he really cared about the students. Yes, especially while I was residing in Greece. Deree helped me in many ways. I truly value the knowledge I gained, and the friends I made. 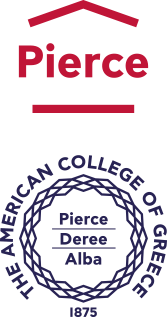 Most importantly though, either because ACG started as a school for girls, or thanks to the gender diversity of its student body, Deree taught its female students that they should be ambitious and pursue any career they want. Of course, women do face gender-related challenges in the course of their career, but the belief at Deree that women “can have it all” helped many of us launch a professional career. The greatest advice I ever received is that there is no such thing as one single good solution. Different things work for different people and under different circumstances. New York, because of its buzz and diversity!